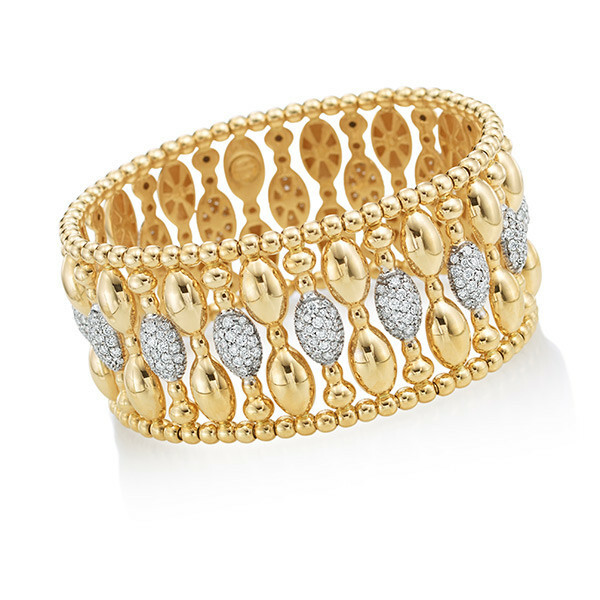 This flexible 18K yellow gold bracelet has 16 shapely oval diamond stations. The sparkling elements, accompanied by stacked gold beads above and below, alternate with vertical rows of all-gold nuggets in triplicate. Round gold beads provide a decorative edge to the openwork piece of jewelry. Wrap your wrist in this bracelet that has fine form and an awesome appearance!